Downloads Page - Payroll Software from ZPAY Payroll Systems, Inc.
At ZPAY Payroll Systems, Inc., we believe in the try-before-you-buy method of marketing and as such, we encourage you to try our software before making a decision. We encourage you to look at others to see why we along with our present customers, feel we have the easiest to use payroll system there is. Download PayWindow 2019 And Start Today! After downloading the above installer, simply double click on the Icon to install PayWindow onto your computer. Note: These are the same download links above to use for our customers downloading to update PayWindow. To see recent changes to the above version, click here. 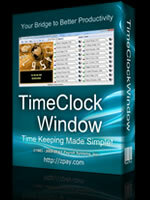 Our Software Time Clock for your employees to punch in and out making time keeping a snap! Easy to use interface and full connectivity to PayWindow Payroll for importing employee information and exporting hours! After downloading the above installer, simply double click on the Icon to install TimeClockWindow onto your computer. Special Note: We had this tool created for us but have found it to be slow and cumbersome to work with. Of course, Intuit wants to keep you captive to get that from $200 to over $2,000 plus each year (depending on how many employees you have) from you so they don't make it easy to get data from an outside payroll program. We here at ZPAY use QuickBooks ourselves but have never used the tool other than to test it. Since PayWindow has such thorough reporting, there is no need to post those individual transactions like the tool does. We simply post two general journal entries each month. 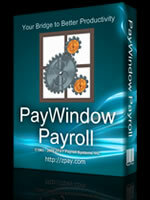 One for total payroll and one for total payroll taxes and use PayWindow's reporting for tracking the payroll information. You can use the tool below or do what we do to do it faster and save on those high Intuit annual updates and use our affordable PayWindow payroll system. We intend to hold our low prices with no limit on number of employees nor number of company files that you support for as long as we can. But if you want, there is no extra charge so feel free to try it out and see if you may or may not want to use it. 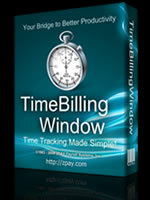 New Improved PayWindow to QuickBooks data transfer tool. PayWindow users who use QuickBooks Pro or Premiere 2002 - 2018 can now use our transfer tool by downloading and installing the QuickBooks Foundation Classes from Intuit. You will find the tool itself in PayWindow under the Tools menu. After downloading the above tax table installer, simply double click on the Icon to install the tax tables into your PayWindow 2019 tax tables folder on your computer. Note: The Microsoft Jet Engine and/or MDAC Does Not Ship With All Releases of Windows.